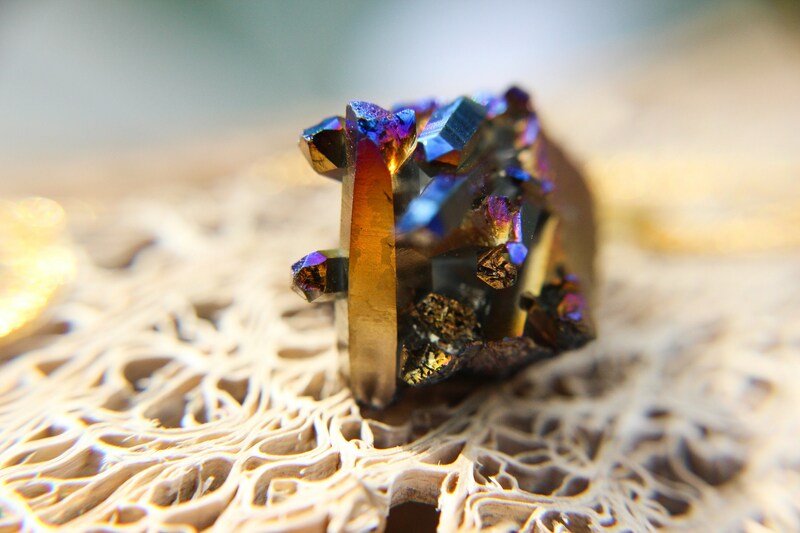 I find something so captivating about titanium quartz! The colour change and glowing effect is so striking and unique, it's hard not to fall for it's charm! 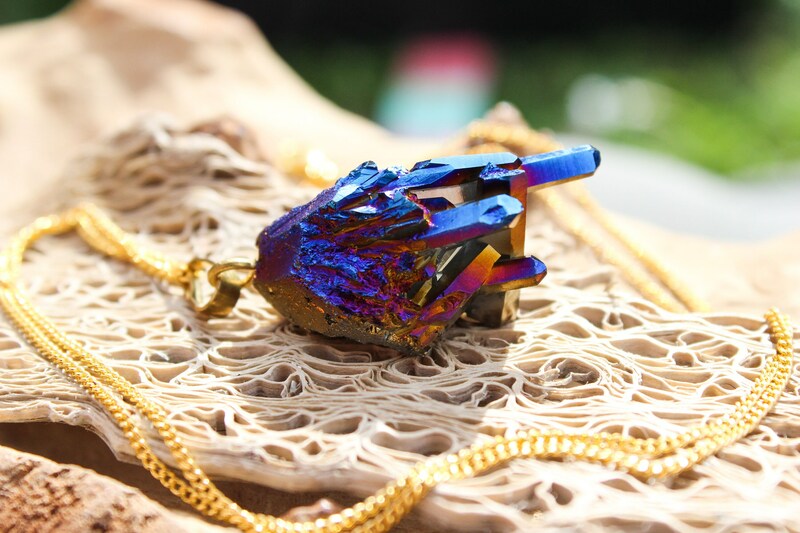 This blue iridescent Titanium quartz necklace is glimmering, glittering and full of magical charm! 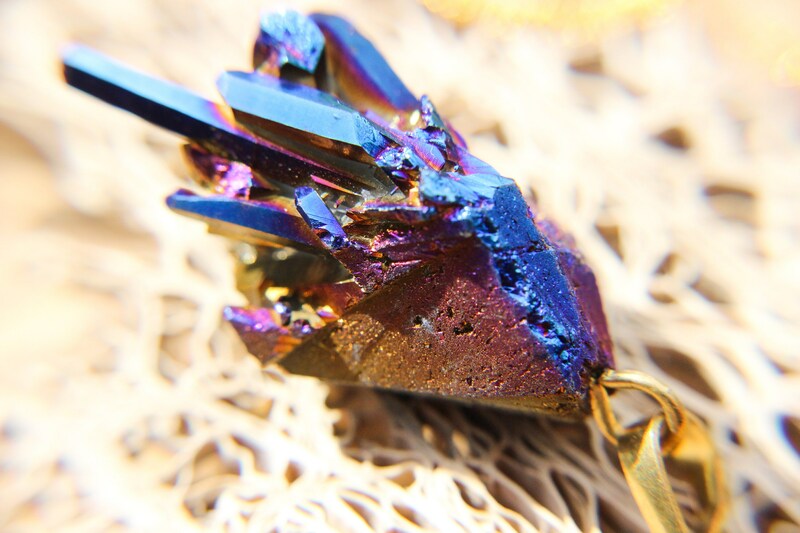 Titanium Quartz is made by using a coating of metal onto the crystal and then heating it to create this mystical glowing effect. No two crystals will ever have the same patterns or colours making them truly unique. 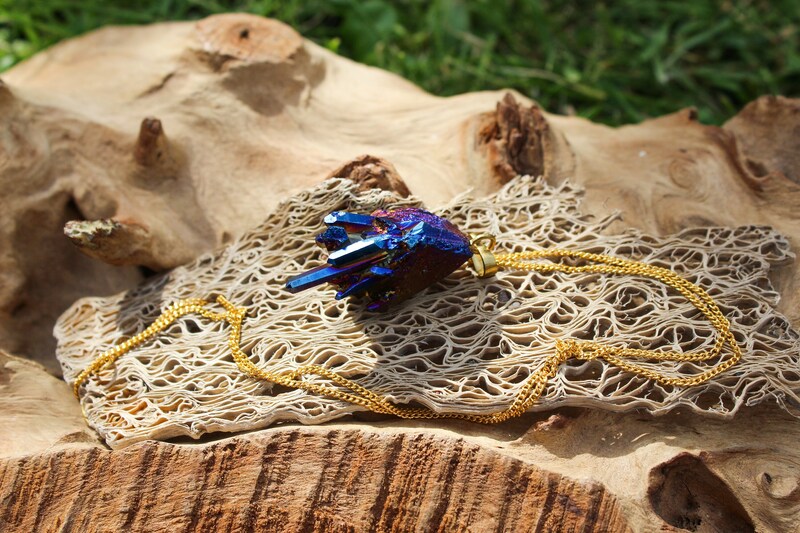 This titanium quarts necklace has been made using a small but bold blue crystal with flashes of purple and green shimmer! The fitting is brass, but the chain can be silver upon request. 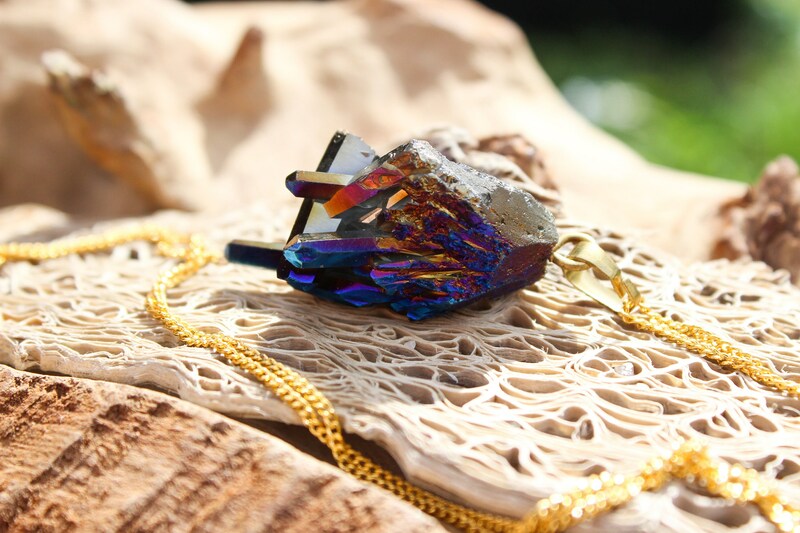 The healing properties are a little different with this crystal, even though it shares the same properties as the Clear Quartz, it is the colors of this crystal that actually grant it enhanced healing powers. * Jewellery comes beautifully packaged in organza bag, making it great for gift giving, to keep it safe and easy to store.